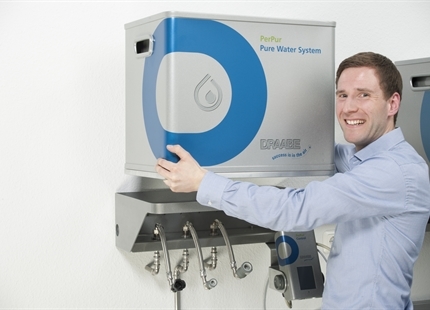 Air humidification if part of quality assurance for many applications in the textile industry. Yarns and textiles react quickly to air that is too dry or too humid. Fibres become fragile; fabrics shrink in length or width or get stretched out. This will lower the quality of semi-finished or finished products and will result in added costs in the textile production. Yarns and semi-finished products must until fabric completion, or sometimes even until the product is done, have the correct intrinsic moisture, which must also be in equilibrium with the relative humidity of the ambient air. If the relative humidity is inadequate, the materials lose elasticity and tensile strength. For example, it has been demonstrated for cotton products (Source: Institute of Textile Technology, USA), that an increase in relative humidity from 60% to 70% brings with it an elasticity increase of more than 15%. Leather also retains its natural properties by means of adequate humidity and can be processed into high-quality products. Another limiting factor in the textile industry production at relative humidity levels that are too low is the problem of electrostatic charging. Fully synthetic fibres in particular, such as perlon or nylon, become electrostatically charged if the environment is too dry. Due to their lack of electrical conductivity, like electrical charges generated in friction processes during processing cannot discharge. These like charged fibres repel each other, hindering the mechanical process of producing a smooth solid yarn, which is the prerequisite for the production of homogeneous fabrics. Friction processes on machine parts such as rollers or eyelets, also in natural fibres like wool, linen or jute lead to a disturbing charging phenomena in the production of textiles, textile processing and finishing. An added air humidification system secures optimum production for natural and synthetic fibres. WWpo Would you like more information? 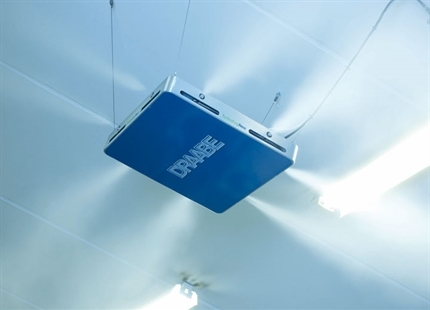 Summary of DRAABE air humidification benefits in the textile industry.